This PARTY PUNCH RECIPE is a sweet and tasty treat because it’s filled with ice cream! 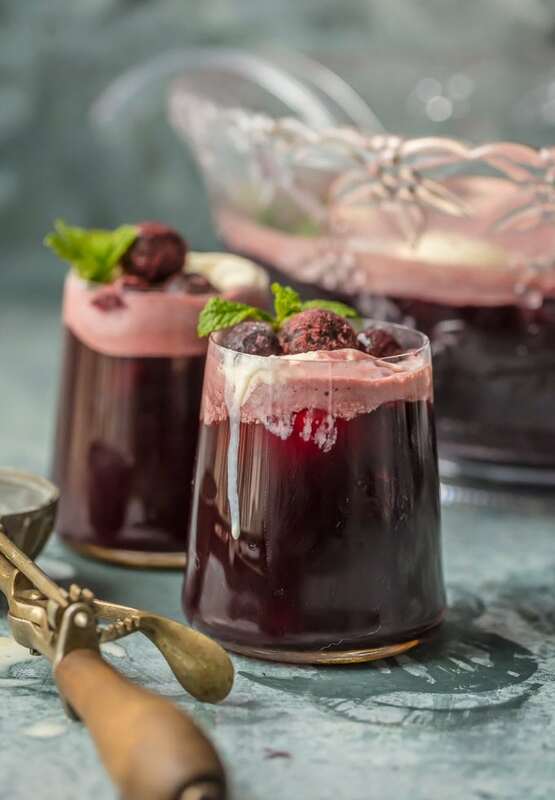 This Cherry Vanilla Ice Cream Punch is the perfect party punch and feels really festive. It only has 4 ingredients and it’s an instant hit at any holiday get together. This Easy Party Punch is the ultimate Christmas drink recipe. This party punch recipe might surprise you, but in a good way! Cherry vanilla ice cream punch is the perfect holiday party punch. Welcome to my new favorite holiday Party Punch Recipe! When Autumn rolls around and all the Thanksgiving and Christmas parties are in full swing, easy party punch recipes for a crowd are an absolute must. I have made other large batch drink recipes in the past that I love, such as our Easy Holiday Punch, Apple Pie Sangria, Pumpkin Pie Punch, and even Holiday Spiced Mulled Wine. This one’s different though. 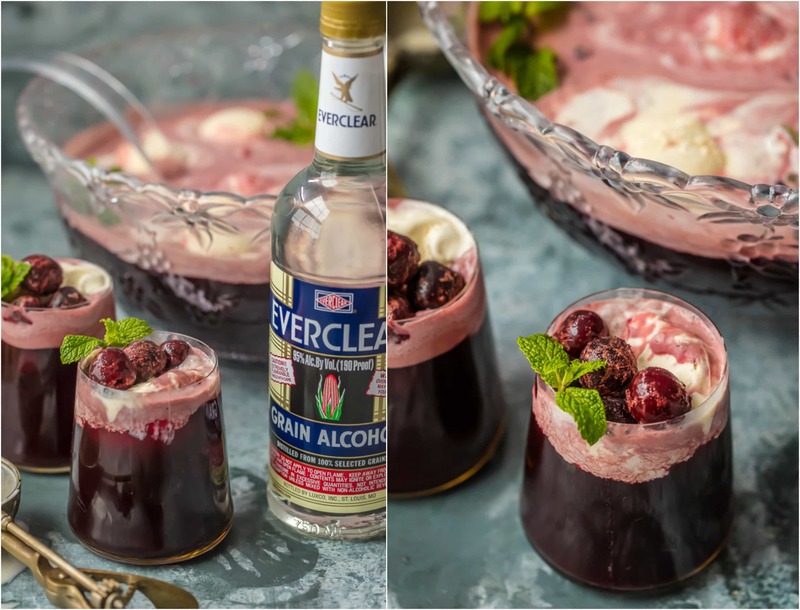 This punch recipe has a couple of special ingredients that make it extra creamy and extra fun: ice cream and Everclear! It’s an unexpected combination, but the result is so delicious. My other party punch recipes are great for so many occasions, but some of them have a lot of ingredients, or involve a lot of prep time. 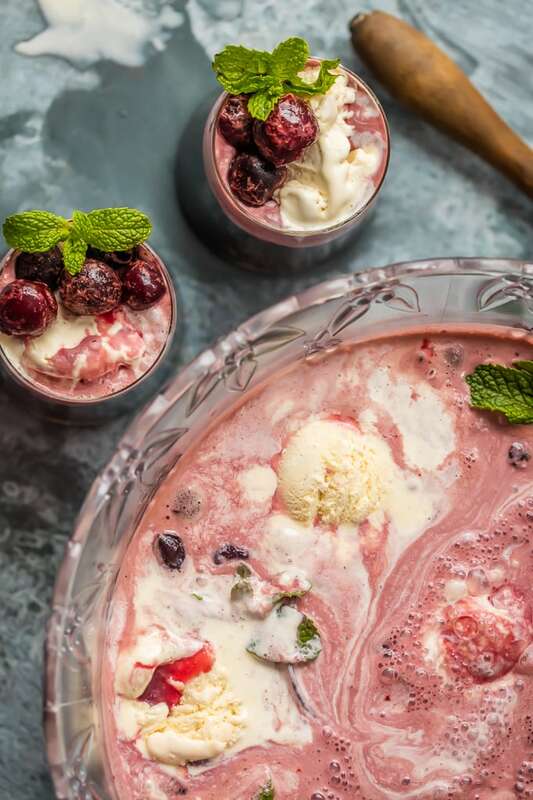 This easy Cherry Vanilla Ice Cream Punch has only 4 ingredients and it’s SO SIMPLE! 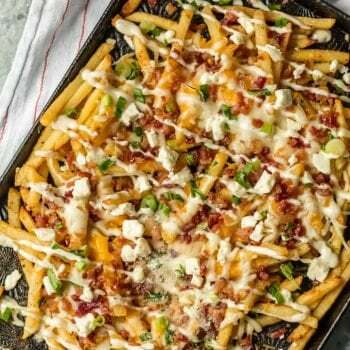 It has all the flavor and is an instant favorite for any holiday party, especially Christmas! 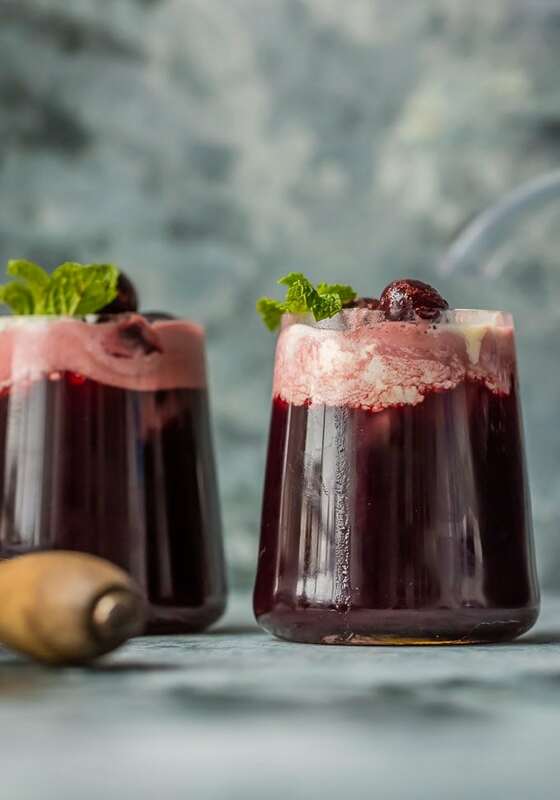 This Cherry Vanilla Ice Cream Punch is the perfect Party Punch Recipe for the holidays. And with only 4 ingredients, it’s super easy too! 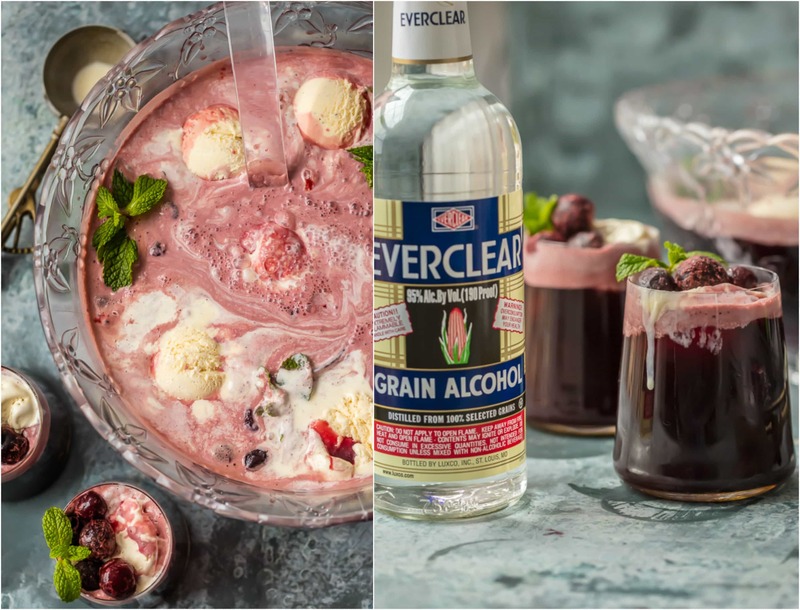 Everclear is perfect for this Cherry Vanilla Ice Cream Party Punch Recipe because its flavorless and cost effective when making big batch drinks. You can use as much or as little as you’d like to make this punch ideal for your holiday party. All you need for this Cherry Vanilla Party Punch is tart cherry juice, cream soda, Everclear, and vanilla bean ice cream! That’s right. It takes just 4 ingredients to make this easy party punch recipe! It tastes just like Cherry Vanilla Cream Soda but with a little something extra. The ice cream makes it so much creamier…the flavors really come together once the ice cream punch starts to melt down. 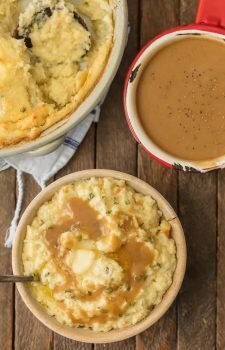 It’s creamy, dreamy, and so delicious! The perfect mix of tart cherry, sweet vanilla, and a kick of Everclear. PRO TIP: Use frozen cherries in place of ice so that you don’t water down the flavor! Works like a charm and it’s pretty to boot. Win win. The holidays are such a special time. They’re all about fun times, family togetherness, being grateful, and amazing food and drink. Every holiday party needs an easy party punch recipe to help celebrate. 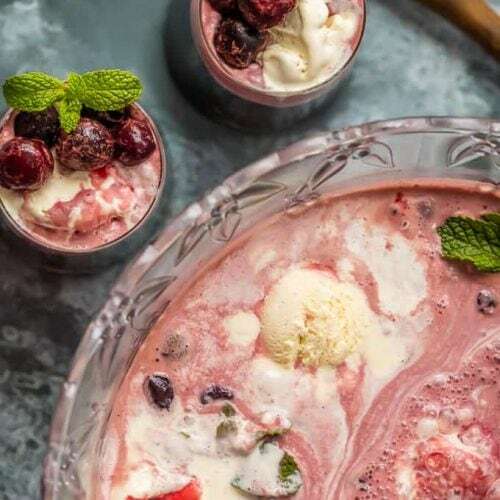 This Cherry Vanilla Ice Cream Punch is the perfect way to do that. It’s the ultimate addition to your Thanksgiving or Christmas tables. I just know you’ll love it as much as we do! This Cherry Vanilla Ice Cream Punch is so yummy and should be shared with all. 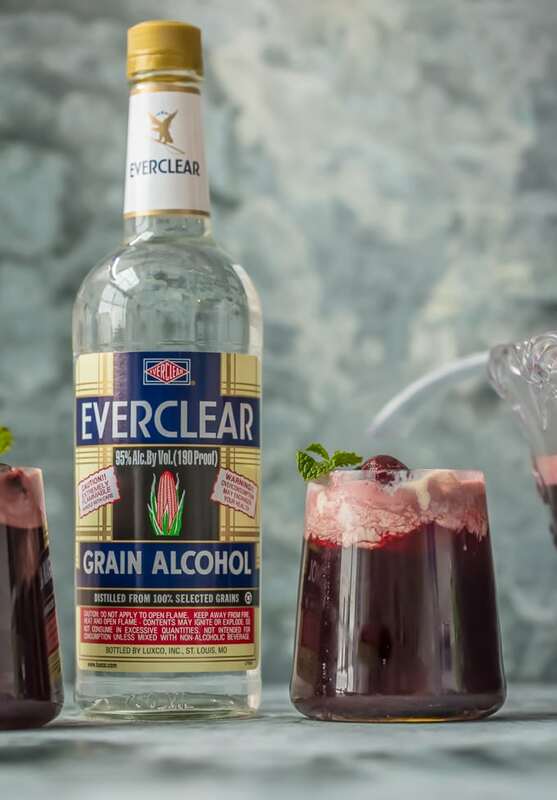 The recipe here calls for Everclear, and it makes a great alcoholic party punch for adults. However, you can easily make this into a non-alcoholic party punch for the kids too! Just follow the recipe as is and skip the alcohol. This Party Punch Recipe is just too delicious! Everyone will love it, and it looks so beautiful on the table. 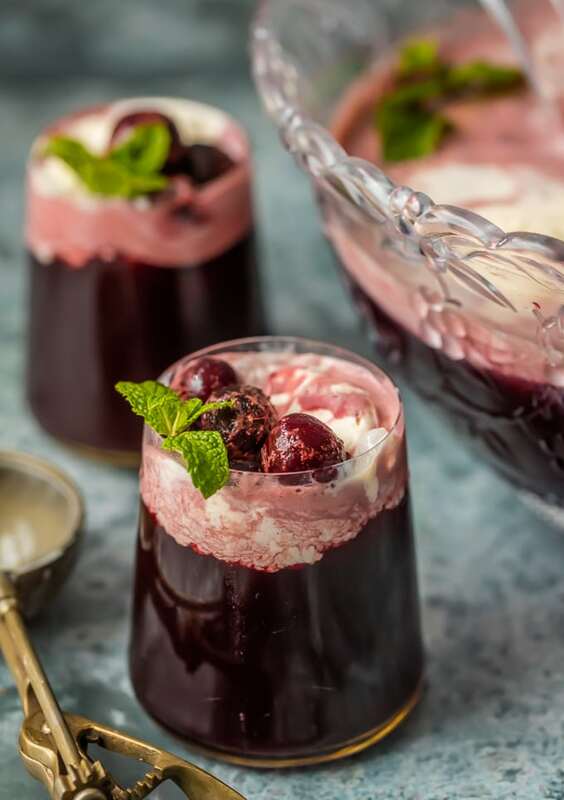 Be sure to try this Cherry Vanilla Ice Cream Punch for your next party! See the recipe card below for details on how to make this Cherry Vanilla Ice Cream Party Punch Recipe. Enjoy! This PARTY PUNCH RECIPE is a sweet and tasty treat because it's filled with ice cream! 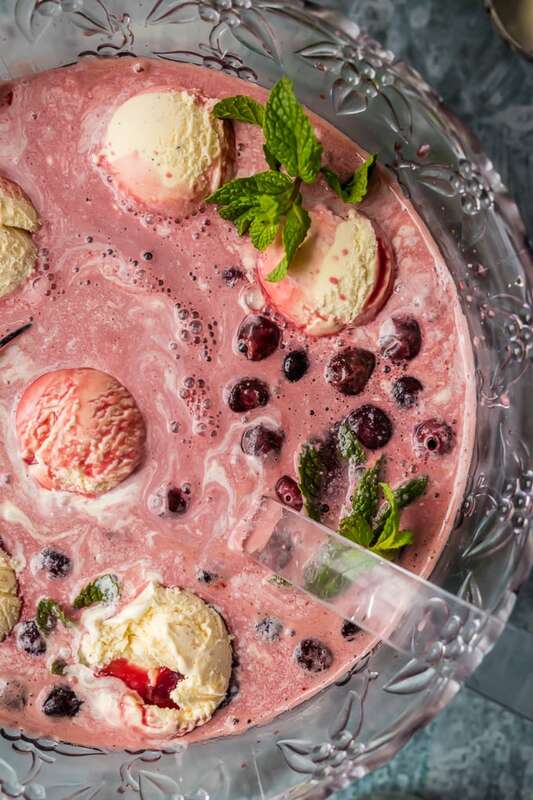 This Cherry Vanilla Ice Cream Punch is the perfect party punch and feels really festive. It only has 4 ingredients and it's an instant hit at any holiday get together. This Easy Party Punch is the ultimate Christmas drink recipe.